Aka the makeup we all wanted after seeing them on screen. Tbh, hottie alien Do Min Joon (Kim Soo Hyun) wasn’t the best eye candy in the 2014 drama. Nope, that honor would have to go to Jun Ji Hyun’s captivating and ageless beauty—seriously, how can she look even younger than she did in 2001’s My Sassy Girl? 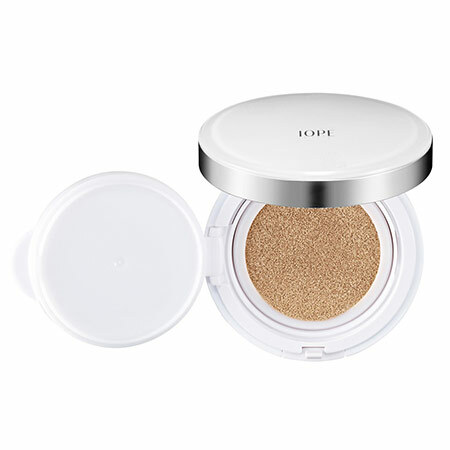 Skincare secrets and a lucky mix of genetics aside, Ji Hyun chalked up her luminous glow to this cushion compact by IOPE. Loads of cushions have since debuted in the market, but many K-beauty devotees continue to swear by the lightweight, natural coverage this one gives. Cheon Song Yi’s translucent glow wasn’t the only beauty thing we fell for in My Love From The Star. Her lipstick game was super on point, too! We’re talking bright pops of color in each and every scene—yup, even when she was drunk or hungover. 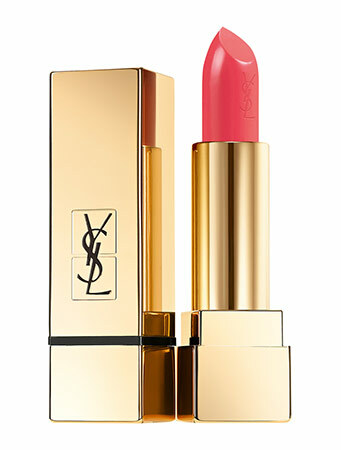 An erroneous report claimed that her pink pout was all thanks to this shade of lippie by YSL, resulting in mass hysteria, hoarding and sell-outs in Europe and Australia, and resellers jacking up prices from the suggested $35 to $95. Finally, Ji Hyun’s makeup artist stepped forward and said she didn’t use this lipstick at all, but instead mixed up a few shades of IOPE lipstick to get the desired color. Descendants of the Sun catapulted Song Hye Kyo into even greater worldwide fame and launched her as the face of South Korea. The drama also resulted in more than a few mini Mo Yeons, who all wanted to look like the doctor. One scene in particular featured Mo Yeon using a cushion compact to touch up before her first date with Yoo Si Jin (Song Joong Ki). 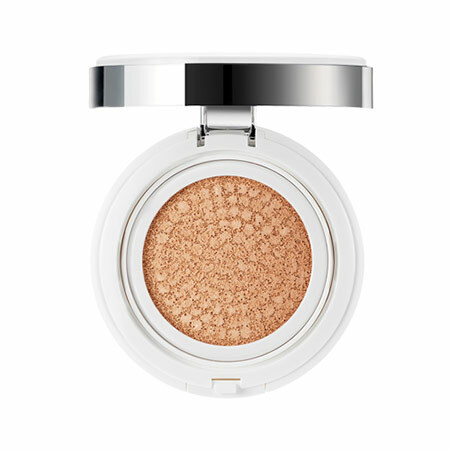 Naturally, fans turned to Korean beauty brand Laneige, of which the actress is an ambassador for, and tracked down its BB Cushion as the source for the leading lady’s gorgeous glow. In that same pre-date scene, Mo Yeon pulls out an interesting-looking tube of lipstick. The culprit? 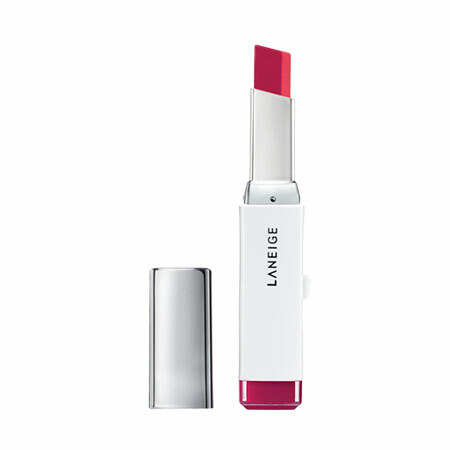 Laneige’s Two Tone Lip Bar, which features dual colors in the same stick for that subtly pretty (and totally Korean) gradient effect. Mo Yeon uses various shades in the show, but in this scene, she’s holding No. 11 Juicy Pop. 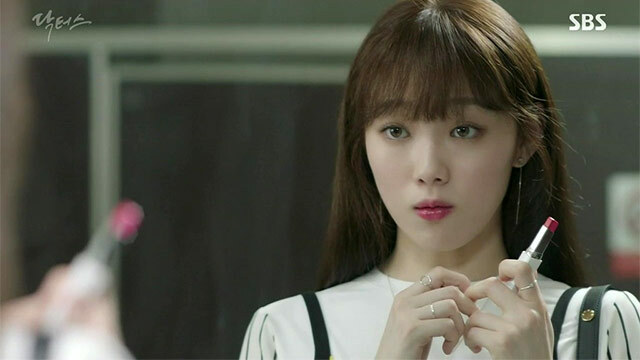 Model-turned-actress Lee Sung Kyung may play second fiddle to Park Shin Hye in Doctors, but her baby-faced beauty is on a class of its own. Sung Kyung, like Song Hye Kyo, is a Laneige endorser, so her makeup for the show is almost entirely from the Amore Pacific brand. And like Hye Kyo, she’s been filmed applying the Two Tone Lip Bar! Her combo of choice? The true red-and-magenta mix of No. 5 Daring Darling. Gong Hyo Jin wins us over in every drama she appears in, thanks to her natural acting, fuss-free beauty looks, and cool girl sense of style. Despite being so different from the image in our heads of the saccharine, pa­-cute K-pop idol, one thing she does prescribe to are those enviable low-key Korean brows. In The Producers, her character, Ye Jin, grooms her kilay with Clio’s brow pen. Needless to say, this product sold like hotcakes after appearing in the drama. 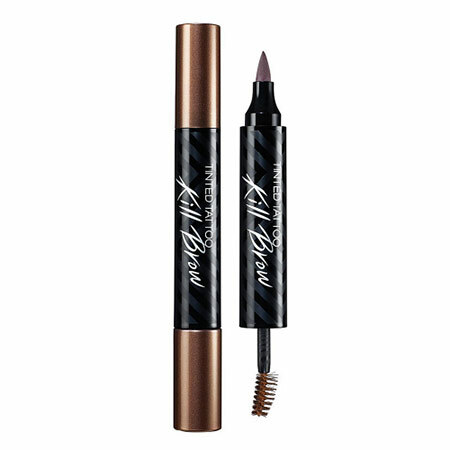 In my last visit to Seoul in late 2015, Gong Hyo Jin’s face peered at me from every Clio store, enticing me to just pick up one or two of these brow tints. 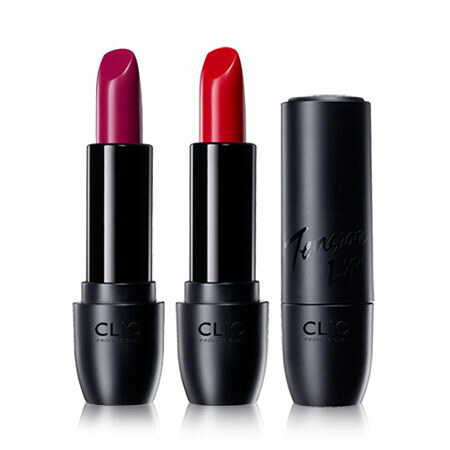 Clio makes several more appearances in The Producers, in the form of Virgin Kiss Tension Lip lipsticks. Ye Jin brightened up her complexion with colors from the collection, ranging from pastel pink pouts to diffused rose shades. Don’t you just *love* how she tempered tough, edgy fashion pieces with feminine beauty looks? Mamonde followed muse Park Shin Hye to her most recent drama, Doctors. 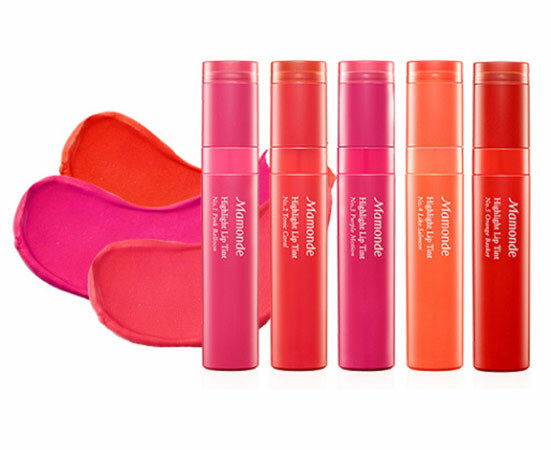 This time around, it’s the Highlight Lip Tint that gets the spotlight. As a neurosurgeon who’s on top of her game, Hye Jung keeps her makeup clean and simple. And since those long hours can take their toll on her appearance, she’s never without a tube of #6 Pin Spot, a pinkish-red hue that stands out without being too dramatic. 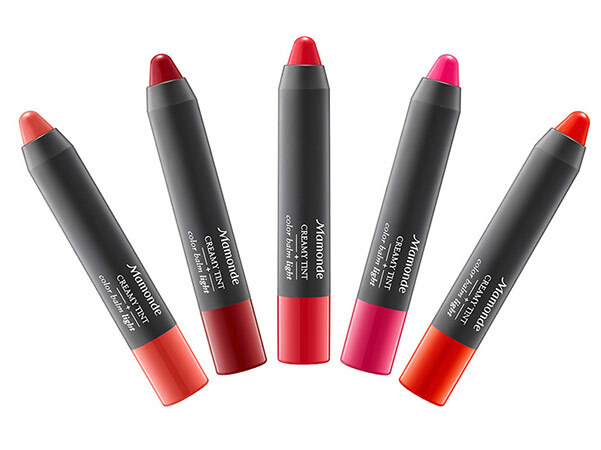 Obviously, this product is now super popular and is giving the earlier lip crayon a run for its money!